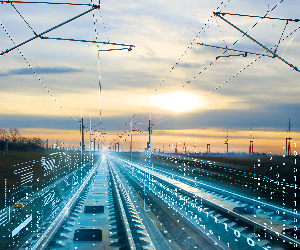 Transport for Wales announced the commencement of Wales and Borders rail services, which will see an investment totalling almost £5 billion (EUR 5.7 billion). The transport services are operated by the French-Spanish joint venture KeolisAmey. “This is an important moment for rail in Wales, indeed for devolution itself. 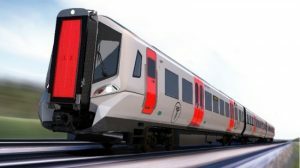 Led by Transport for Wales with our partners KeolisAmey this will be the very first ‘made in Wales’ rail service, designed and delivered by the Welsh Government,” First Minister, Carwyn Jones, said. “There is £738 million (EUR 843 million) earmarked to modernise the central metro lines, support the next phase of Metro and run more trains every hour. Transport for Wales rail services will offer 600 new jobs and 450 apprenticeships over the 15 year lifespan of the contract,” Carwyn Jones said. Under the franchise contract, KeolisAmey will invest £800 million (EUR 913.7 million) to replace the trains in Wales. From 2023, 95% of journeys will be made on new trains, half of which (50%) will be assembled in Wales. 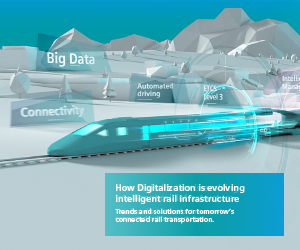 The company will spend EUR 221.6 million (£194 million) on station improvements, including the building of five new stations and the modernisation of all 247 already existing stations on the network. By December 2023, KeolisAmey will be running an extra 285 services every weekday across Wales, and there will be an extra 294 services across Wales on Sundays, an increase of 61%. 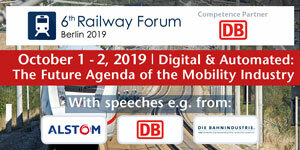 In addition, there will be investment in new technology to reduce disruption and enhance performance, a new website and app will be created in the first year, investment will be made to improve on-board mobile phone connectivity. The contract will run until October 14, 2033. It also includes delivering the next phases of the South Wales Metro project.